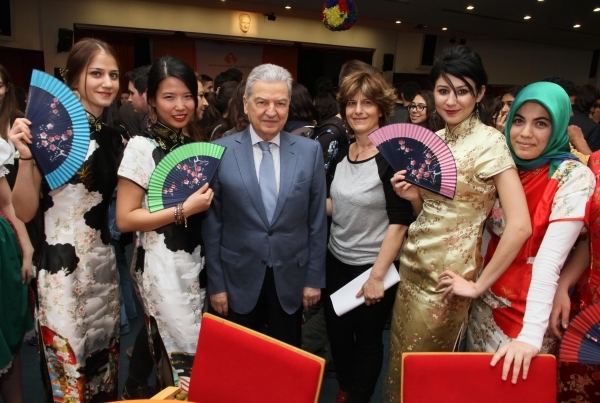 Students celebrated the second foreign awareness with a “Foreign Languages Festival” that took place at Izmir University of Economics (IUE). 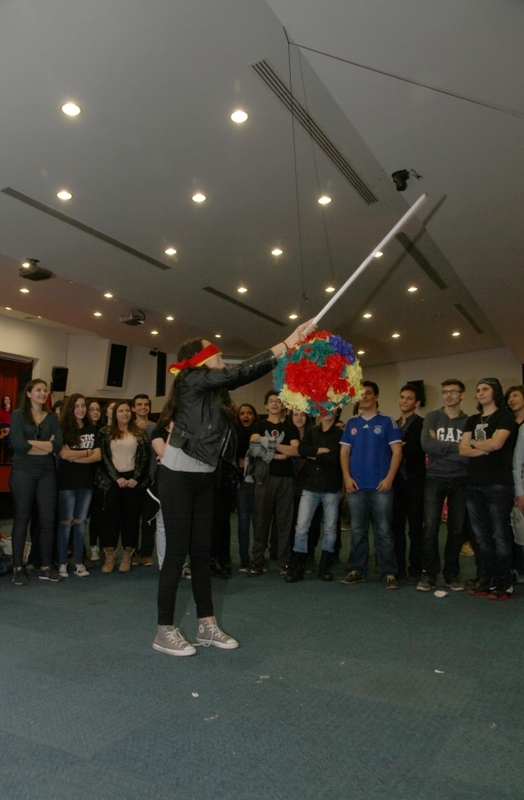 One thousand 400 students from 59 high schools in Izmir had a chance to experience the cultures, dances, and tastes of countries of 9 different languages. Participants were informed about Chinese, Russian, German, Japanese, Spanish, French, Greek, Italian, Portuguese, and English language trainings at the festival which was organized by IUE School of Foreign Languages. 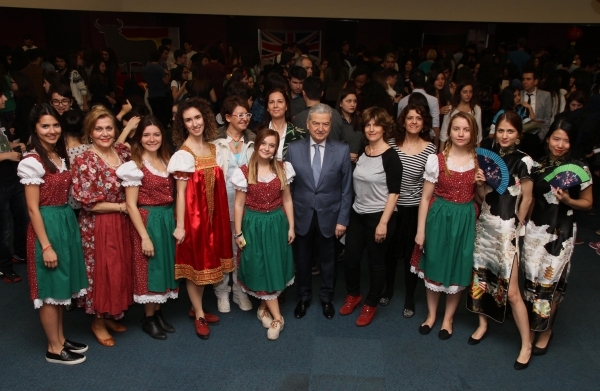 Students had the opportunity to learn about different cultures and languages of other countries at the festival where Ekrem Demirtaş, President of IUE Board of Trustees, and Prof. Dr. Oğuz Esen, Rector of IUE also attended. High school students experienced the symbolic tastes of countries all day long; German cookies and waffles at German booth, Russian Salad at Russian booth, Sushi at Japanese booth, Tortillas at Spanish booth, and Pizza at Italian booth. They had fun with Piñata. Spanish instructors blindfolded the students, gently spun them around and asked them to hit the piñata with a stick so they could spill candies. In Japanese and Chinese booths, instructors, in traditional outfits, displayed samples of Calligraphy, which is very significant in those cultures. The participants were treated to a musical feast all day long by IUE Musicians Club groups.